Being the head of the New York Racing Association is a lot like managing a Major League Baseball team: you seldom leave on your own terms. Chris Kay's sudden departure on Wednesday marks the latest exit by a NYRA executive that didn't feature a gold watch retirement ceremony. 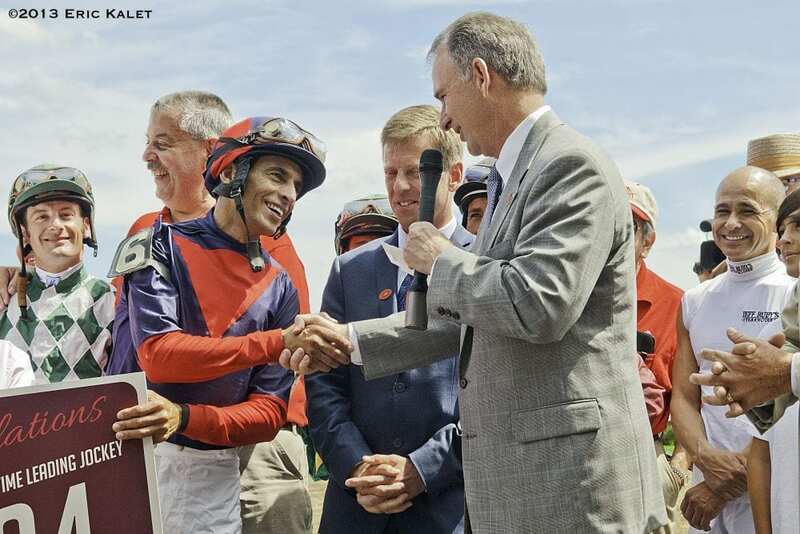 If published reports are accurate that Kay had NYRA employees doing maintenance and yard work at his home in Saratoga Springs, N.Y., the organization's board of directors had no choice but to ask for his immediate resignation. Between a governor, Andrew Cuomo, who is no fan of horse racing, and burdensome government oversight, NYRA board members have to hold their chief executive to the highest ethical standards. No NYRA executive in my memory has endured more ridicule or criticism than Chris Kay, who took the job in June 2013 as a complete outsider with good business acumen but was green as an unraced 2-year-old in April when it came to racing Unforgiving critics seized every opportunity to knock him for his lack of knowledge or his seeming insistence on being in every photo opportunity or quoted in every press release. The bottom line, however, is that Kay and his management team got things done, whether it was putting together the framework for a sustainable business model, launching the NYRA Bets online wagering platform, increasing NYRA's presence on national cable television, improving the guest experience or increasing revenues (in part by raising prices at premium events like the Belmont Stakes). Kay and the NYRA board guided the organization from the choppy waters of state control in 2012 to re-privatization in 2017. Kay leaves NYRA at a critical time, when a portion of the massive Belmont Park property is to undergo development to accommodate a hockey arena and surrounding retail businesses. A decision on the future of Aqueduct also seems imminent. Those wheels may already be in motion. -James Heffernan led the organization from 1977-'82 before leaving to take a job in the private sector, saying at the time of his departure that he was “confirming a rumor that has been going around for four years.” A federal probe into race-fixing at NYRA tracks took place during his tenure. -Kenny Noe Jr. brought his no-nonsense management style to NYRA in 1994 and eventually became chairman of the board. He negotiated a franchise renewal through 2007 and was widely credited for staving off bankruptcy for the organization by trimming fat and slashing jobs. Some questionable construction contracts were scrutinized by the state and then-attorney general Eliot Spitzer launched a money laundering scheme in 2000 involving mutuel clerks. Two weeks after a state police raid by the Organized Crime Task Force, Noe quit NYRA, citing health reasons. -Barry Schwartz agreed to succeed Noe in 2000, serving as CEO and chairman until the end of 2004. A lifelong horseplayer and a Thoroughbred owner/breeder who became CEO of Calvin Klein, Schwartz steered NYRA through multiple state and federal investigations that ended with a federal “monitor” shadowing operations. “NYRA is better than it was, but it's been a very difficult run,” Schwartz said when he resigned. During Schwartz' time as CEO, Terry Meyocks, a holdover from the Noe tenure, served as NYRA president until his forced resignation in 2003 after being the target of intense criticism by Spitzer. -Charles Hayward, a publishing executive who had been president and CEO of Daily Racing Form, was hired to replace Schwartz in November 2004. Two years later, NYRA filed for bankruptcy, in part because of delays in construction of the Aqueduct casino. Hayward secured a 25-year franchise renewal for NYRA, bringing stability to the organization, but he was fired in 2012 after a state investigation concluded the association was overcharging bettors on the takeout of certain wagers. Gov. Andrew Cuomo pounced on the scandal as an opportunity for the state to take control of NYRA. -Chris Kay, an attorney and former Toys “R” Us executive, is hired by NYRA in June 2013 as president and CEO. He succeeded Ellen McClain, chief financial officer who had served on an interim basis after the departure of Hayward. The announcement of Kay's sudden and immediate resignation included the news that David O'Rourke would succeed him on an interim basis. This entry was posted in NL Article, Ray's Paddock and tagged andrew cuomo, barry schwartz, charles hayward, chris kay, eliot spitzer, george pataki, gerard mckeon, james heffernan, kenny noe jr, mario cuomo, New York Racing Association, nyra, nyra bankruptcy, NYRA franchise oversight board, Ogden Mills Phipps, terry meyocks by Ray Paulick. Bookmark the permalink.